It is a new landmark. On the more than 110-metre tall boiler house of the Herne power plant, from a great distance the around 100,000 daily commuters on the A42 and A43 motorways can clearly read a statement: "STEAG. We ensure safe energy. Now and in the future." The energy company from Essen does what it says: at the Herne-Baukau site, STEAG wants to construct one of the most state-of-the-art gas and steam power plants in the world for several hundred million euros. For Herne's mayor, Frank Dudda (SPD), this is an economic milestone. "The STEAG project is the largest individual investment in the history of Herne," says the mayor. The mayor of Herne also takes great pleasure from the economic aspects: "Even during the construction phase 400 to 600 people are to be employed." "The planned plant will be one of the most state-of-the-art of its kind in the world," explains STEAG project manager Oliver Welling, who hopes for a start of construction in mid 2019. "We have been working on planning the power plant for months. We hope that we have thoroughly done our homework and that there won't be any problems on the regulatory side." The documents have been submitted to the district government in Arnsberg and the notification is expected by the middle of next year. STEAG intends to invest several hundred million euros via the project company STEAG GuD Herne GmbH. 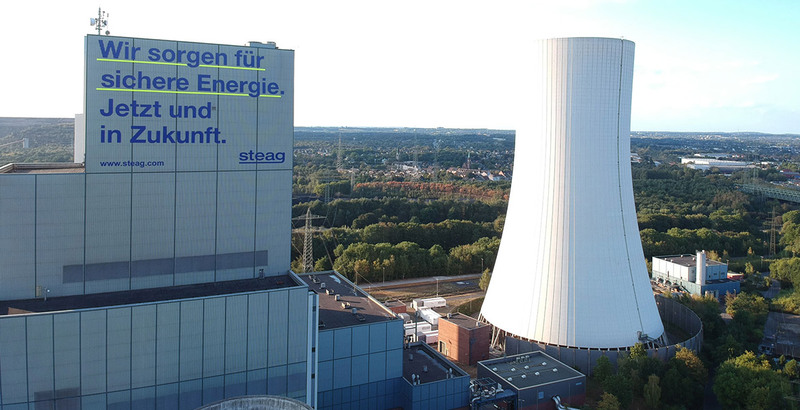 An electrical output of 600 megawatts (MW) is planned; with the simultaneously generated thermal quantity of 400 MW the STEAG district heating subsidiary can supply around 250,000 apartments in the cities of Gelsenkirchen, Essen and Bottrop with green thermal energy. With a total utilisation ratio of the fuel used of 85 percent, the Herne gas and steam power plant will be one of the most efficient and environmentally friendly plants in the world. In order to supply the power plant with the gas required, a 22 km natural gas pipeline still has to be built. This is to be constructed by Thyssengas and is being planned from a pipeline hub in Datteln. The new line will then run through the cities of Oer-Erkenschwick and Recklinghausen all the way to Herne. The construction of the Datteln-Herne natural gas pipeline, to use its official title, is also to begin in the coming year and will cost around 32 million euros. A further important project partner for the future Herne gas and steam power plant is Siemens AG – more precisely the Power & Gas division. 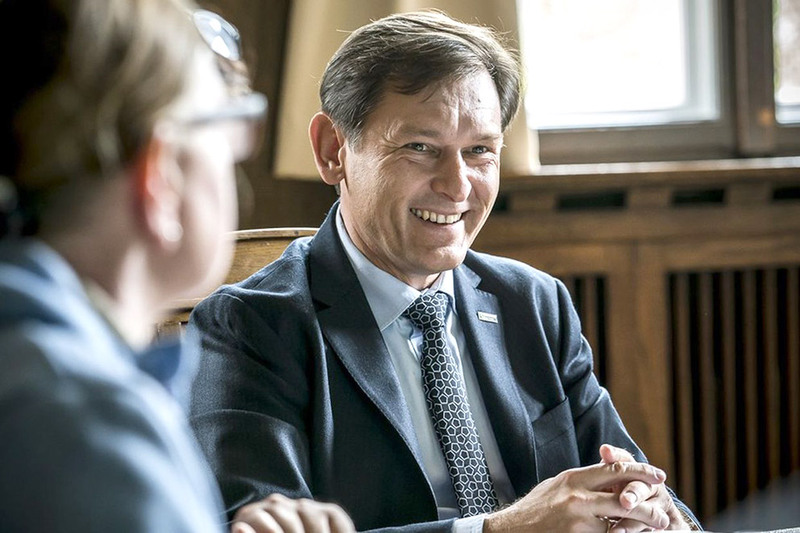 "We are convinced that Siemens is the right partner for this important and pioneering project," says Joachim Rumstadt, Chairman of the STEAG Board of Management. "Siemens has – and we know this from our successful cooperation in earlier projects – an excellent expertise as a power plant builder." Moreover, says Joachim Rumstadt, the planned new construction is "good news for the Herne energy site and the entire Ruhr." As the general contractor, Siemens will also produce the key components for the planned power plant. The Siemens plant in Mülheim will greatly benefit from this. The steam turbines and the generator will be manufactured there, which can then be installed in Herne. "For STEAG these are tangible investments in the future," says project manager Oliver Welling. "Here at the Herne site there is the central feeding point for the Ruhr district heating network. Furthermore, a gas and steam power plant is more environmentally friendly than a coal-fired power station and therefore a valuable option should a withdrawal from coal power generation ever be decided." Compared to a brown coal-fired power station, a gas power plant causes up to 70 percent fewer CO2 emissions per kilowatt hour. 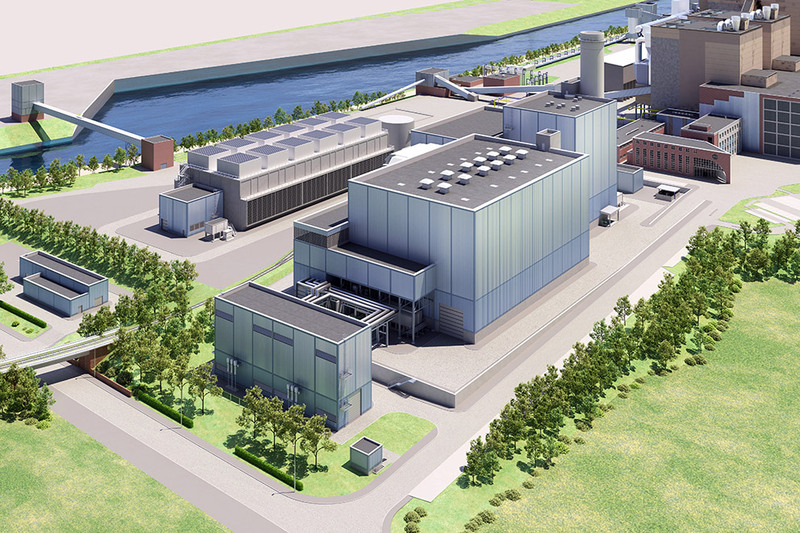 Herne's mayor and STEAG council member Frank Dudda agrees: "When STEAG approached us and said that there could be a renaissance of the STEAG power plant construction, we were pleased with this important contribution towards the green infrastructure of the Ruhr. This fits perfectly into our strategy: out of the coal tradition, into the innovative production of a gas and steam power plant." However, Frank Dudda and Oliver Welling will have to show a bit of patience yet until the power plant produces electricity and thermal energy. Only once all regulatory approvals are present will the construction get the go-ahead. Should this occur by the middle of next year, the STEAG engineers will have to hurry up. As there is an important deadline to keep: the German cogeneration law offers subsidies for such highly efficient and low-emission plants. However, only plants that are in a so-called commercial continuous operation by the end of 2022 are entitled to them. This means that an ambitious timetable is required: the new gas and steam power plant must be connected to the grid by no later than the end of December 2022 in order to benefit from these subsidies. It is also precisely at this point in time that the last nuclear power plants are to be removed from the grid, so that the Herne gas and steam power plant could benefit from rising wholesale electricity prices. "One more reason to implement this project," says Oliver Welling. "Both ecologically and economically, this is the right decision."